Anthony Douglas Cragg, CBE RA (born 9 April 1949) is a British sculptor. 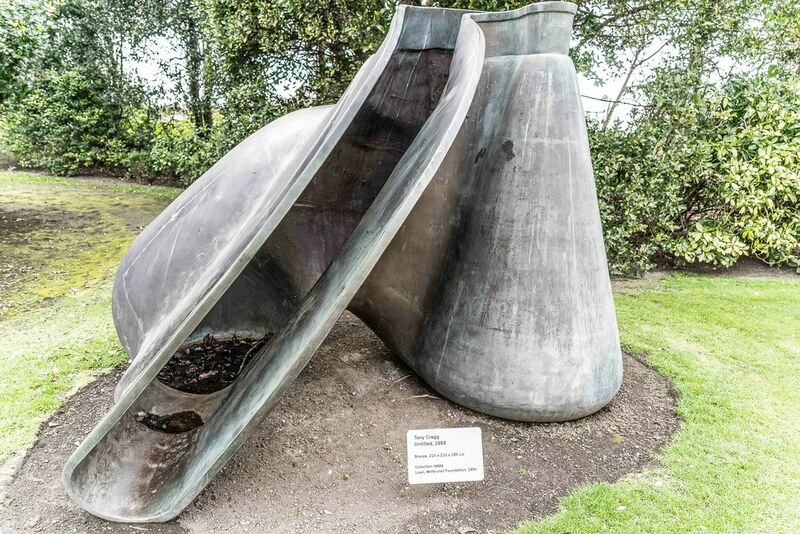 Tony Cragg was born in Liverpool[ on 9 April 1949. Between 1966 and 1968 he worked as a lab technician for the National Rubber Producers' Research Association. In 1969 he enrolled in the foundation course at Gloucestershire College of Art and Design in Cheltenham, Gloucestershire. He studied at Wimbledon School of Art from 1970 to 1973, and then until 1977 at the Royal College of Art. Cragg moved to Wuppertal, in North Rhine-Westphalia in western Germany in 1977, and in 1978 began teaching at the Kunstakademie of Düsseldorf. 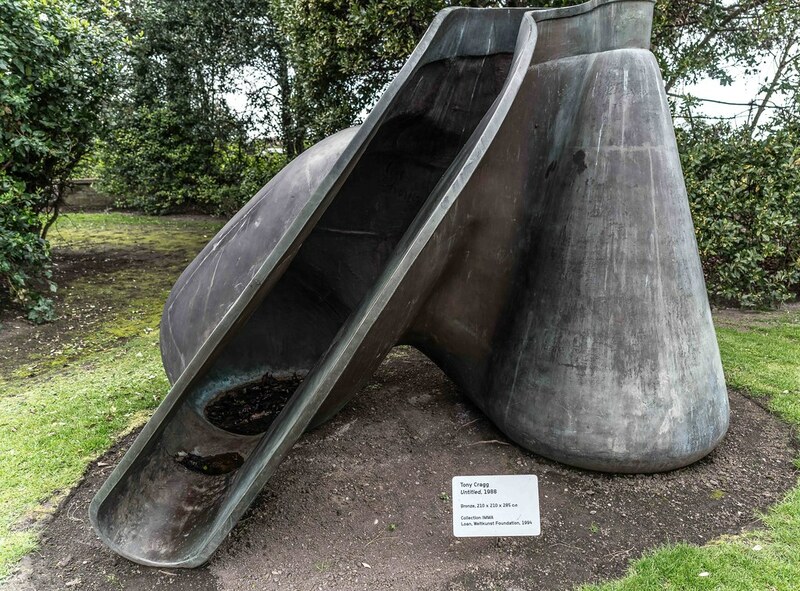 Tony Cragg’s early work involved site-specific installations of found objects and discarded materials. From the mid-1970s through to the early-1980s he presented assemblages in primary structures (as in his first mature piece, the 1975 Stack) as well as in colourful, representational reliefs on the floors and walls of gallery spaces (as in Red Indian of 1982-3). Cragg constructed these early works by systematically arranging individual fragments of mixed materials, often according to their artificial colours and profiles, so as to form larger images. Britain Seen from the North (1981) is a signature early work, made of multi-coloured scraps of various materials assembled in relief on the wall. The piece depicts the outline of the island of Great Britain, orientated sideways so that Northern Britain is positioned to the left. The island is scrutinised by a figure, representing Cragg himself, who looks at his native country from the position of an outsider. Britain Seen from the North (1981) is often interpreted as commenting on the social and economic difficulties that Britain was facing under ‘Thatcherism’, which had particular effect in the north. This work was first exhibited in the large upstairs space at the Whitechapel Art gallery in London in 1981 and is now in the Tate collection. After moving to Germany in the late 1977 Cragg had several solo exhibitions including Lisson Gallery, London (1979); Lützozstr. Situation, Berlin (1979) and Künstlerhaus Weidenallee, Hamburg (1979). 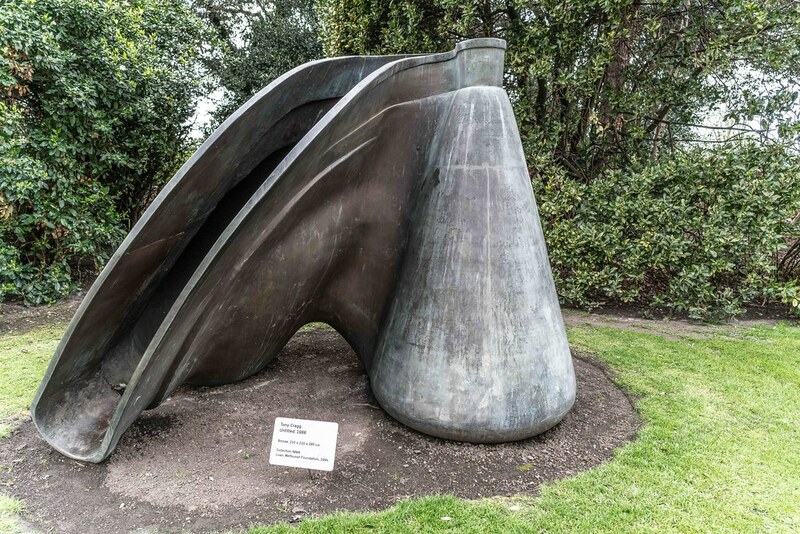 He also exhibited in seminal group shows including the Silver Jubilee Sculpture Show, Battersea Park, London (1977); Europa-Kunst der 80er Jahre, Stuttgart (1979); Kunst in Europa na ’68, Museum van Hedendaagse Kunst, Gent (1980) and L’art degli anni Settanta/Aperto ’80, Venice Biennale (1980). In the early-1980s Cragg gradually moved away from installation art and began to examine more closely the individual objects used as parts of his larger constellations. This was the beginning of his engagement and experimentation with the properties and possibilities of a wide range of more permanent materials in the form of wood, plaster, stone, fiberglass, Kevlar, stainless steel, cast iron and bronze. In the early 1980s Cragg exhibited at Arnolfini Gallery, Bristol (1980); Whitechapel Art Gallery, London (1980); Von der Heydt-Museum, Wuppertal (1981); Institute of Contemporary Art, London (1982); Documenta 7, Kassel (1982) and the Hayward and Serpentine Galleries, London (1983). Since then Cragg has exhibited extensively at many of world’s most important art institutions. By the end of the decade Cragg received the Turner Price at the Tate Gallery in London (1988), represented Britain at the 42. Venice Biennale (1988) and was appointed Professor at the Kunstakademie Düsseldorf (1988-2001). Throughout the 1990s Cragg continued to develop two larger groups of work that have sustained his production up to the present: the Early Forms and the Rational Beings. The Early Forms series investigate the possibilities of manipulating everyday, familiar containers and the ways in which they can morph into and around one another in space. 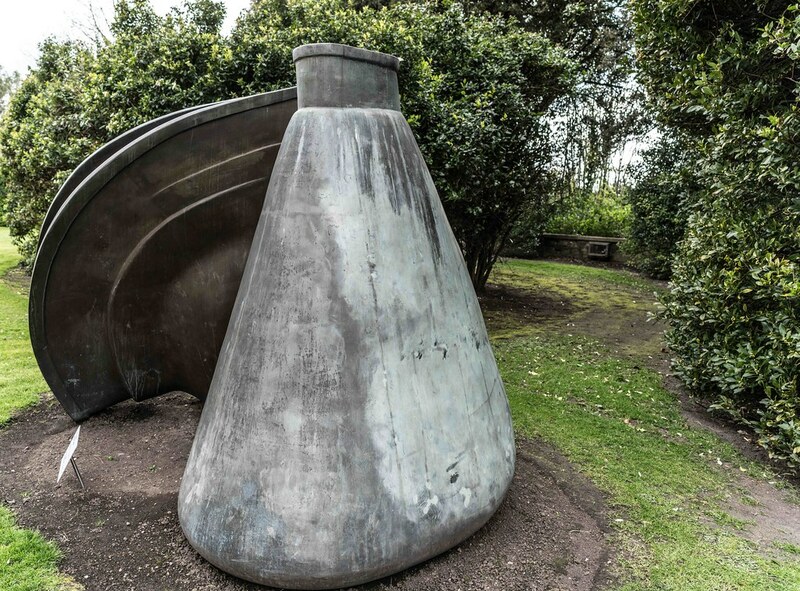 These sculptures derive their profiles and contours from simple, tick-walled vessels – such as chemistry vessels, plastic bottles and mortars. The surfaces of these initial objects are extended and contorted until new, sculpturally independent forms of movement arise. Through these processes of manipulation the initial objects develop new lines and contours, positive and negatively curving surfaces and volumes, protrusions and deep recessing folds. The broad field of containers and vessels used function as metaphors for cell, organ, organism or body. The Early Forms can be characterised as forms transmutating along a bilaterally curved axis, often with organic, even figurative, qualities. The Rational Beings are describable as organic looking forms often made of carbon fibre on a core of polystyrene. 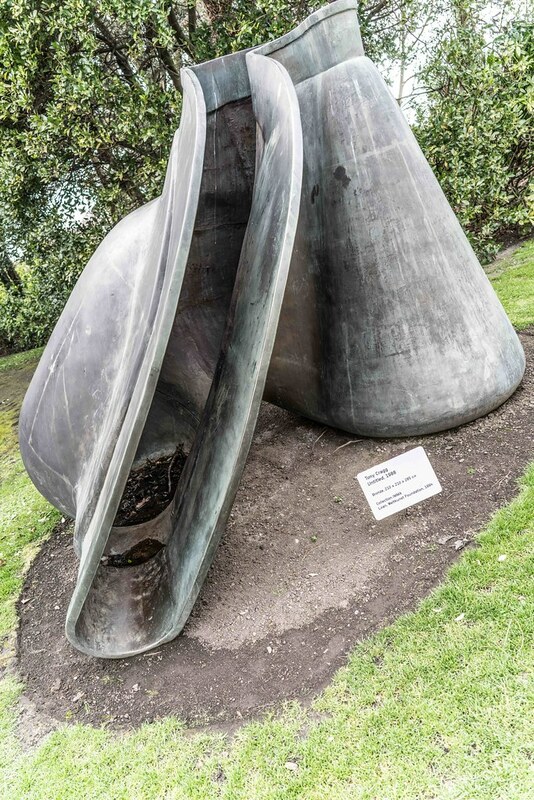 These sculptures derive their forms from the contours of gestural drawings, which Cragg then translates into the third dimension using thick, circular or oval discs which are superimposed (often vertically), glued together and covered with a skin. The underlying structure of these sculptures gives their skin the tension of a membrane, reflecting the basic structures of many organisms, organs, plants and animals.